Talal Asad is Distinguished Professor at the CUNY Graduate Center. He is interested in the phenomenon of religion (and secularism) as an integral part of modernity, and especially in the religious revival in the Middle East. Connected with this is an interest in the links between religious and secular notions of pain and cruelty, and therefore with the modern discourse of Human Rights. His long-term research concerns the transformation of religious law (the shari'ah) in nineteenth- and twentieth-century Egypt with special reference to arguments about what constitutes secular and progressive reform. Representative publications include On Suicide Bombing (2009); Formations of the Secular (2003); and Genealogies of Religion (1993). Jay M. Bernstein is University Distinguished Professor of Philosophy at the New School for Social Research. He previously taught at the University of Essex for nearly 25 years, where, among other efforts, he served as Dean of Humanities; he was W. Alton Jones Professor of Philosophy at Vanderbilt University before moving to the New School. He works primarily in the areas of ethics, philosophy of law, critical theory, aesthetics and the philosophy of art, and German Idealism from Kant to Hegel. Among his books are: The Philosophy of the Novel (Minneapolis, 1984); The Fate of Art: Aesthetic Alienation from Kant to Derrida and Adorno (Oxford, 1992); Recovering Ethical Life (1995); Adorno: Disenchantment and Ethics (New York, 2001); Against Voluptuous Bodies: Late Modernism and the Meaning of Painting (Stanford, 2006); he edited and wrote the introduction for Classic and Romantic German Aesthetics (New York, 2003). His next book, Torture and Dignity: An Essay on Moral Injury, is forthcoming from the University of Chicago Press. Simon Critchley is Hans Jonas Professor at the New School for Social Research. His books include Very Little…Almost Nothing (2004); Infinitely Demanding (2013); The Book of Dead Philosophers (2009); The Faith of the Faithless: Experiments in Political Theology (2014); The Mattering of Matter: Documents from the Archive of the International Necronautical Society (2013, with Tom McCarthy); and Stay, Illusion! The Hamlet Doctrine (2014, with Jamieson Webter). An experimental new work, Memory Theatre, and a book called Bowie were published in September 2014. He is moderator of "The Stone," a philosophy column in The New York Times, to which he is a frequent contributor. 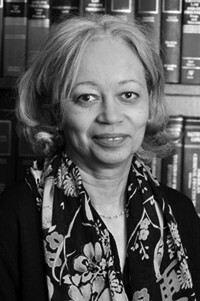 Patricia J. Williams is James L. Dohr Professor of Law at Columbia Law School. She has served on the faculties of the University of Wisconsin School of Law, City University of New York Law School, and Golden Gate University School of Law, and has been at Columbia since 1991. She is a Fellow at the School of Criticism and Theory, Dartmouth College, and at the Center for Advanced Study in the Behavioral Sciences. She has published widely in the areas of race, gender, and law, and on other issues of legal theory and legal writing. Her books include The Alchemy of Race and Rights: Diary of a Law Professor (1992); The Rooster's Egg; (1997); and Seeing a ColorBlind Future: The Paradox of Race (1998). She is a Columnist at The Nation and a MacArthur fellow.